Experienced storm warning meteorologists know that scattered thunderstorms ahead of a solid line are often likely candidates to produce tornadoes. 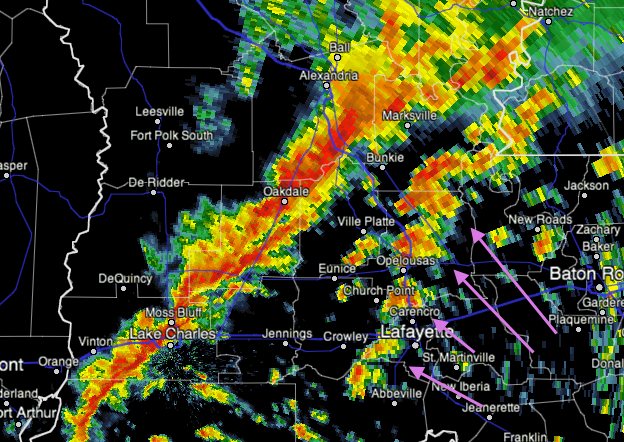 This radar image from 1:14pm shows just such an area in central Louisiana. So, don't focus only on the main line of thunderstorms to the west. A "particularly dangerous situation" tornado watch (which are quite rare 1-3 per year issued) is in effect until 8pm.